Summer storms are unpredictable. Call anytime for emergency service. For safety, trees that are growing too close to a home should be removed. Reliable, professional, tree trimming service from the experts. 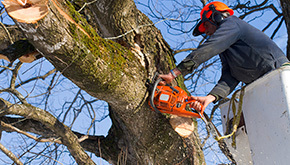 Porter Tree Services provides a wide variety of services to our customers, including tree removal. We will schedule a site visit to determine the scope of the removal and the equipment needed. At this time, we will also assess the area to allow for all necessary safety precautions. Keeping your commercial or residential property looking its best can be a challenge. When you spend the time and money on the upkeep of your landscape you want everything to look perfect. 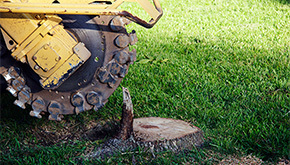 Leftover tree stumps can be removed to preserve the natural beauty of your property. 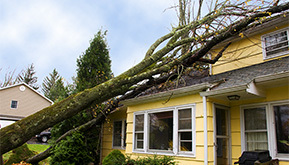 When a fallen tree on your property causes damage to your home or business, you will need a company that can respond quickly. Porter Tree Services has the knowledge, experience and manpower to take care of your emergency tree service needs promptly and professionally. Porter Tree Services, LLC is focused on providing high-quality tree services and customer satisfaction – we will do everything we can to meet your expectations. From our first contact with you to our job clean-up on the final day of work, we will maintain proper communications to keep you informed with the status of your job. We understand, along with providing quality and timely services, communication is also very important to our clients. Call us today at 410-882-TREE (8733).